Retrovolve – Was the Game Boy the First Gaming Console to Travel to Space? 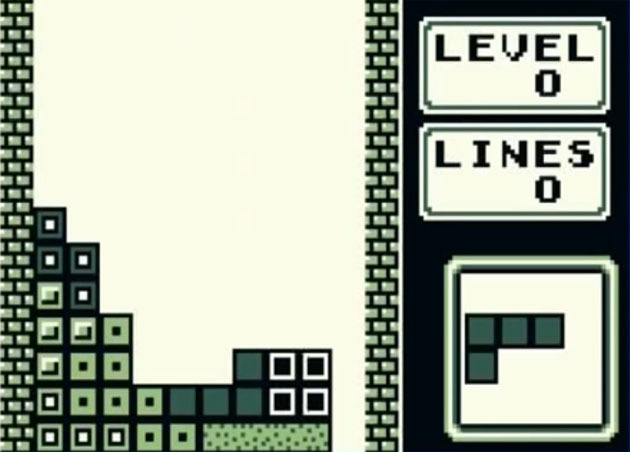 If one were to make a list of the ten best hyper-addictive Russian puzzle games for Nintendo’s Game Boy, all ten items on that list would be Tetris. While Tetris was available on home computers before the Game Boy’s launch, it was Nintendo’s original handheld that infused the addictive-as-crack puzzle formula with the portable format. The resulting cocktail would alter the shape of the gaming landscape forever. While you could argue that portable/smartphone gaming would have taken off by now regardless, the inception of the basic idea dates all the way back to 1989. In 2011, a Game Boy went for sale that had allegedly been to space way back in 1993. The story is that Russian cosmonaut Aleksandr A. Serebrov brought this console with him aboard the Mir space station, where it was his portable companion for over 3,000 orbits around the Earth. As far as I can tell — and I challenge our readers to offer a counterexample — this means that the Game Boy was the first dedicated gaming console to have been to space. 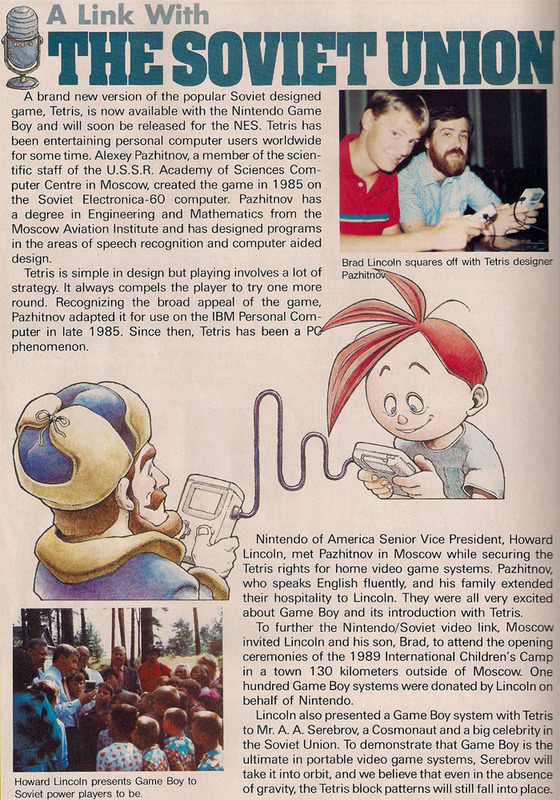 The following article scan comes from the September/October 1989 issue of Nintendo Power, and its final paragraph provides a neat bit of prophecy about the Game Boy’s space trip.